Most people enjoy viewing wildlife from a distance. They become a problem when they enter and damage your property or buildings. Unfortunately, our homes and yards can be a source of welcoming food and shelter to squirrels, bats, mice, raccoons, skunks and many other wildlife, causing structural damage or posing health risks. That’s where Suburban Wildlife Control can assist you. 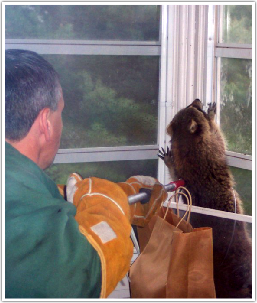 Owner Bob Noviello has many years of experience dealing with problem wildlife issues. He is highly skilled at resolving nuisance wildlife problems humanely and permanently.